It is sunday, after service as usual everybody was expecting rice, so i decided to surprise them with some delicious jollof plantain and trust me it worked. And they enjoyed it. 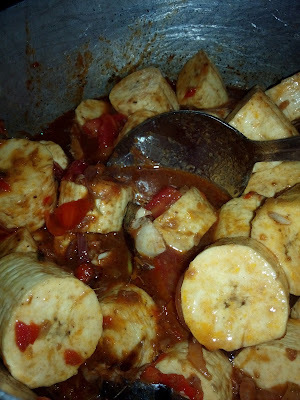 If you are not a plantain fan like my little ones after trying this, with the health benefits you cant resist plantain again. And potassium is an important component of cells and body fluid that helps us control the rate of blood pressure. Beside being a powerful antioxidant, vitamin A plays a vital rules in our live, maintaining healthy mucus membrane and enhancing your skin complexion. 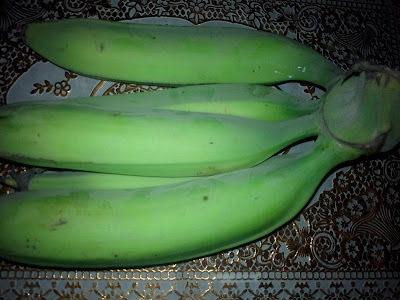 Unripe plantain contains phytochemical properties which helps in preventing ulcer, it can also prevent the formation of ulcers and help in healing them. Unripe plantain improve male fertility, thicken the sperm, and also adding ginger to it works wonder. 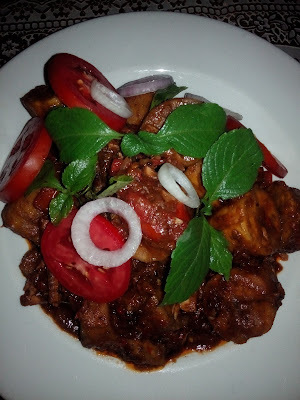 Its very low in sugar compare to the ripe one, its also good for a diabetic patience especially when prepared with food rich in fiber , protein, and green vegetables. That makes it the right choice for the patience. Potassium allows the regular digestive and muscular function. 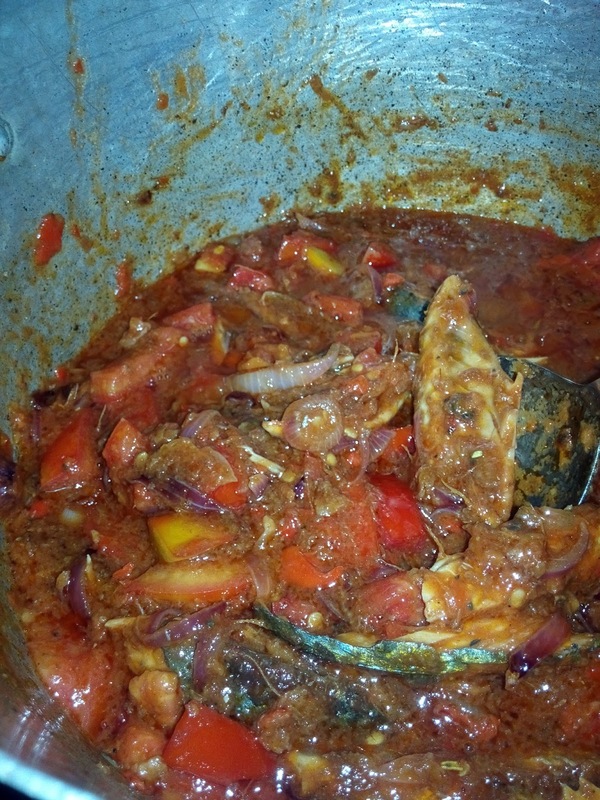 Which lowers the risk of stroke and renewal diseases. Children are more familiar with the ripe ones than the unripe that's why you have to make it look yummy so that it can attract them. 1. Peel and slice your unripe plantain into a bowl, wash and set aside. 3. Grind your ginger, and crayfish and set aside. 4. 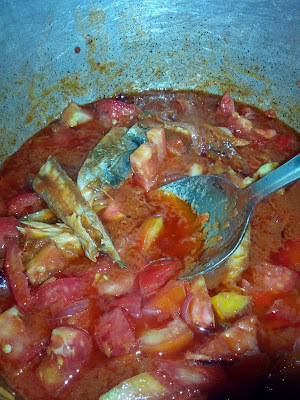 Wash your smoked fish and set aside. 5. 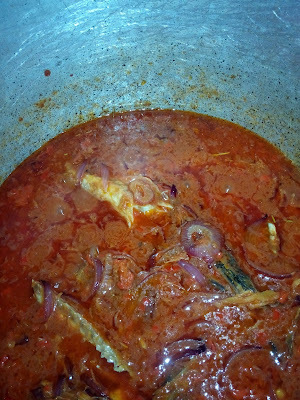 Place your cooking pot on fire, add your vegetable oil allow to heat for about 7 minutes add your sliced onions and stir with your cooking spoon, add your curry powder and stir. 6. Add your tin tomato and stir for 5 minutes add your seasoning cubes, fresh pepper, smoked fish and stir then add 2 cups of water stir and cover to cook for 10 minutes. 7. 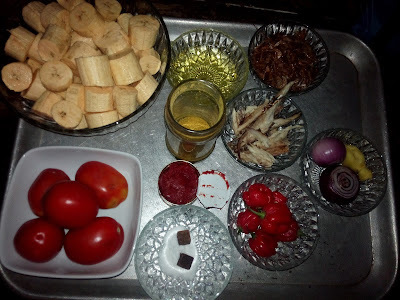 Add your fresh tomatoes, crayfish, and salt cover to cook for 3 minutes open and pour in your sliced plantain allow to cook for 20 minutes or till water dry. 8. Turn of your burner, food is ready to be served.